It’s not too early to start thinking about what you wish for the New Year. If streamlining your business is part of the plan, then why not take some time now to look at ways you can do this? Making your business more efficient and secure is probably something everyone dreams of â€“ if only they had the time. A little time taken to plan and consult with DataSpace UK will save you hours and space in the long run. Archiving your hard copy documents or other data storage devices is just one service DataSpace UK offer. Just think if you got rid of all that paperwork â€“ but still had easy access to it â€“ you might not have to move to bigger premises next year. There’s a saving in itself. We have secure, purpose built storage units that comply with regulations BS5454. Our units have all the latest security in place from year round, 24 hour fire and theft monitoring and web-based CCTV surveillance to ensure your documents are as safe as houses. We can track and store your documents. We can pick up from you in secure transport; the service is daily in the north west, in other parts of the country it is organised with our alliance network. You can access documents at any time as we can scan them and email to you. No matter how big or small the quantity of documents to be archived is, DataSpace UK can help. You can start and stay small or grow bigger, archiving more as and when. 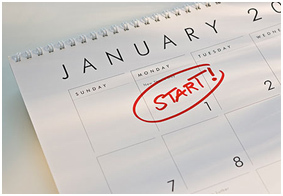 Give DataSpace UK a call now on 0800 028 8956 to get your New Year’s Resolution off with a bang. Check out our closing dates over the festive period. Track us on Facebook and Twitter.